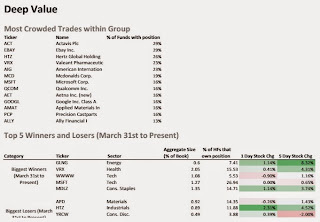 Top U.S. hedge fund management firms, including Leon Cooperman's Omega Advisors and Philippe Laffont's Coatue Management, continued to reduce or slash stakes altogether in Apple Inc (AAPL.O) during the first quarter, as shares of the iPhone maker rallied. According to regulatory filings released on Friday, Coatue cut its holding of Apple by selling 1.2 million shares during the first three months of this year, but it remains the fund's single biggest U.S. stock investment, with 7.7 million shares. Omega Advisors sold all of its 383,790 shares in Apple during the first quarter, while Rothschild Asset Management cut its stake by 107,953 to 938,693 shares, filings showed on Friday. David Einhorn's Greenlight Capital also cut its exposure in Apple during the first quarter, slashing its stake by 1.2 million shares to 7.4 million shares. Apple shares rose 12.7 percent in the first quarter and have continued to increase. Since the end of March, the shares have risen 3.6 percent through Thursday's close. Including Friday's trading, shares are up 3.3 percent since the end of March. In the fourth quarter, David Einhorn's Greenlight Capital and Coatue Management reduced their stakes in Apple, which was a big winner in 2014, with its shares rising nearly 38 percent. 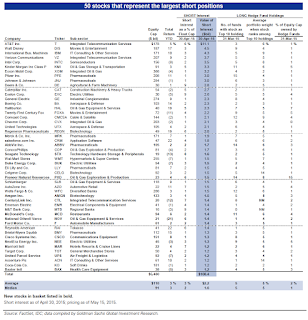 At the end of 2014, Apple was one of the hedge fund community's favored positions, according to Goldman Sachs. Their analysis of more than 850 funds with $2 trillion in assets showed 12 percent of hedge funds counted it among their top 10 holdings. And given its size as the largest publicly traded U.S. company, that made it "key for both hedge fund and index performance," Goldman said in its February report. Not every big hedge fund manager is souring on Apple. Ray Dalios' Bridgewater Associates increased its stake by 473,500 shares to 732,997. And billionaire hedge-fund activist Carl Icahn kept his stake unchanged at 52.8 million shares as of the end of the first quarter. The actions were revealed in quarterly disclosures of manager stock holdings, known as 13F filings, with the U.S. Securities and Exchange Commission. They are of great interest to investors trying to divine a pattern in what savvy traders are selling and buying. The disclosures are backward-looking and come out 45 days after the end of each quarter. Still, the filings offer a glimpse into what hedge fund managers saw as opportunities on the long side. The filings do not disclose short positions. As a result, the public filings do not always present a complete picture of a management firm's stock holdings. The whole world knows Carl Icahn's views on Apple. He thinks underweight Apple bets will hurt funds' performance and he might be right on that call as the so-called "biotech and buyback bubble" keeps inflating. Listening to his wise son, Brett, Icahn senior has also made a killing in Netflix (NFLX), one of the top performing Nasdaq stocks this year. They still maintain 10% of the portfolio in this company but don't bother chasing Netflix higher now, the big money has already been made. But should you invest like Icahn? That was a topic in a recent CNBC debate. When I look closely at his top holdings, there are stock bets I like and others where he's getting killed. For example, his big bets on Chesapeake Energy (CHK), Transocean (RIG) and CVR Energy (CVI) have hurt his fund (interestingly, Viking Global just took a position in Transocean in Q1). And Icahn's pump and dump of Voltari (VLTC) which I recently discussed here is an abomination. 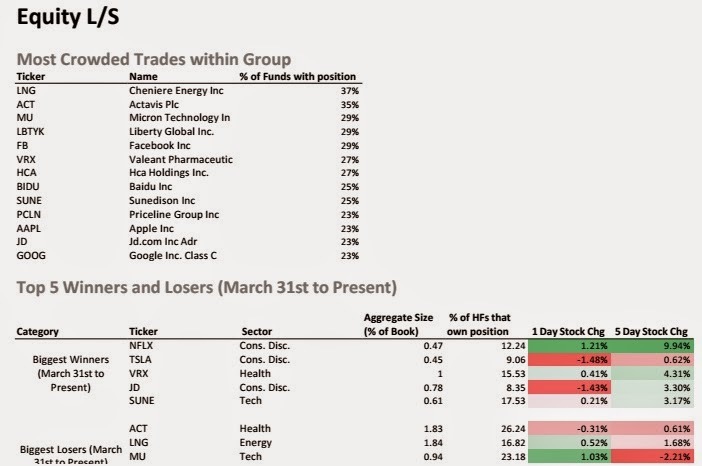 Still, what I like about Icahn is he has the balls to take outsized bets on companies he has conviction on and he typically turns out to be right on his big bets which is why so many people track his fund's holdings closely. In recent years, some of the most prominent hedge fund victories have been all about health care. Larry Robbins, the billionaire founder of Glenview Capital Management, has generated excellent performance in the last two years by allocating a big chunk of his portfolio to hospital stocks—one of his hedge funds has posted a three-year annualized return of 57%. Billionaire William Ackman had the biggest year of his hedge fund career in 2014 because of Botox-maker Allergan, which was responsible for 19.1% of Ackman’s gross return. In the first three months of 2015, hedge funds continued to rush into health care, chasing returns in the sector that has led the U.S stock market this year. Hedge funds increased their long exposure to health care to $289.67 billion, according to research firm Novus, making up 10.35% of the net assets under management of stock-picking hedge funds. Novus, which does not include quantitative trading hedge funds in its stock holding analysis, says that in the last year hedge funds have gone from being underweight health care to overweight. The most popular hedge fund health care stock by far is Actavis, the generic drug maker that bought Allergan this year for $67 billion and is run by Brent Saunders, a CEO who is popular with both Ackman and Carl Icahn. Goldman Sachs released a report on Thursday that showed Actavis is the most popular stock with hedge funds that it tracks, even more popular than Apple. There are 171 hedge funds invested in Actavis and those hedge fund owned $20.3 billion of the stock at the end of March, according to Novus. The only company in America in which hedge funds held more stock, according to Novus, was Apple. Actavis is a hedge fund-fueled stock. 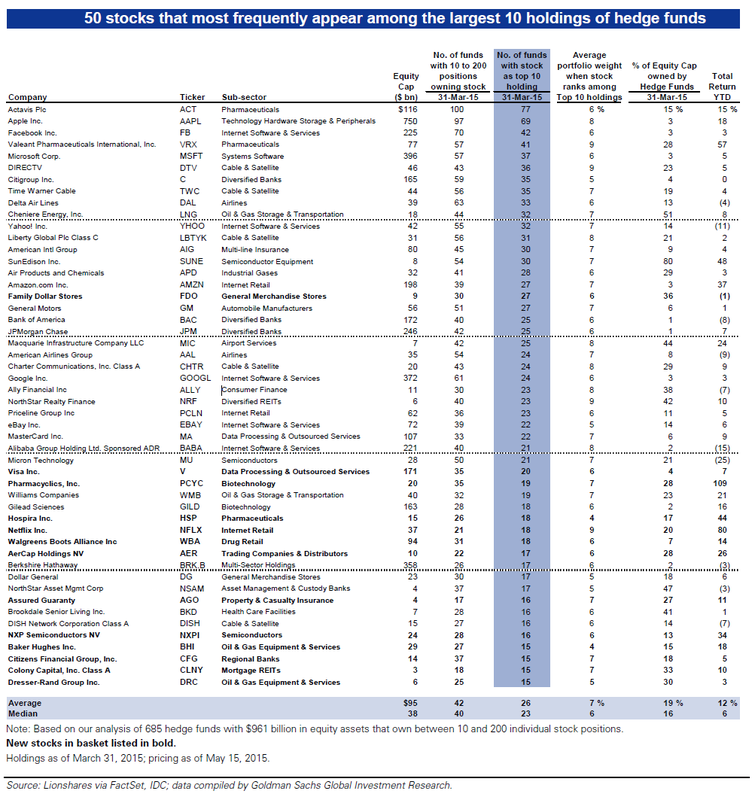 Hedge funds owned 24% of the outstanding shares at the end of March. Big positions in Actavis are owned by funds managed by billionaire John Paulson, whose Paulson & Co., had Actavis as its second-biggest U.S. holding at the end of March, and billionaire Andreas Halvorsen, who has made Actavis the biggest U.S. stock position of his some $30 billion hedge fund. 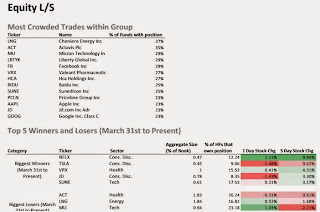 Actavis was recently the second-biggest holdings of billionaire Dan Loeb’s Third Point hedge fund, which had biotech company Amgen as its biggest position at the end of March. These two stocks alone made up about a quarter of Loeb’s U.S. stock holdings. 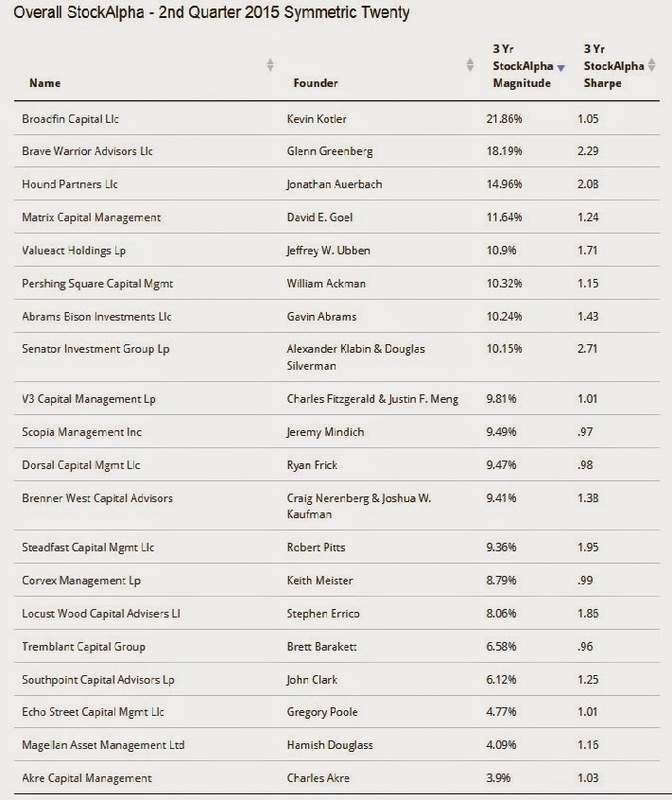 A big buyer of Actavis in the first quarter of 2015 was billionaire Stephen Mandel’s Lone Pine hedge fund. 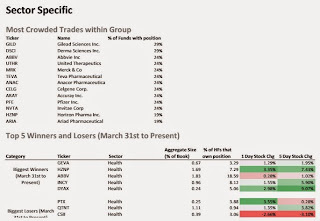 Valeant Pharmaceuticals is the second-most popular health care stock with the hedge fund crowd when measured by the value of shares held by hedge funds, according to Novus. 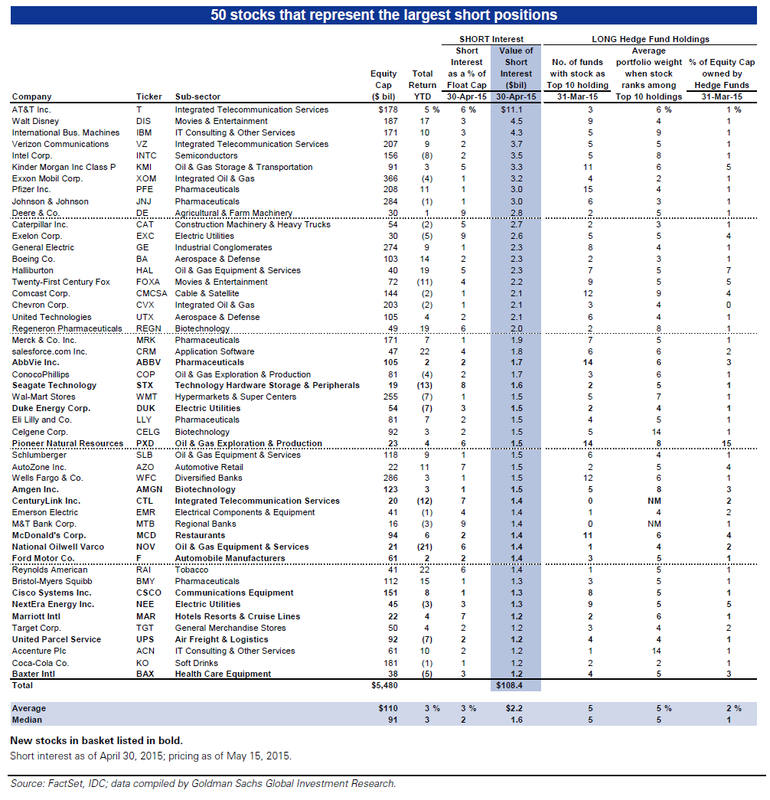 There are 100 hedge funds that own $17.8 billion of the stock. Valeant is a hedge fund machine that was essentially created by ValueAct Capital Management, the San Francisco hedge fund run by Jeffrey Ubben. The stock is Ubben’s biggest holding by far, recently making up more than 21% of his U.S. stock portfolio. It made up more than a quarter of Bill Ackman’s U.S. stock portfolio at the end of March after his Pershing Sqaure hedge fund finally took a position this year in the drug maker that Ackman had teamed up with in early 2014 to try to buy Allergan. Valeant is Ackman’s biggest position so far in 2015. Johnson & Johnson is a health care stock owned by 163 hedge funds. 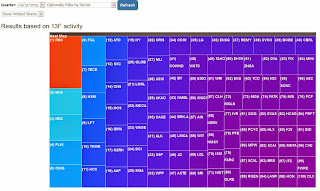 More hedge funds own Johnson & Johnson than any other health care stock except for Actavis. 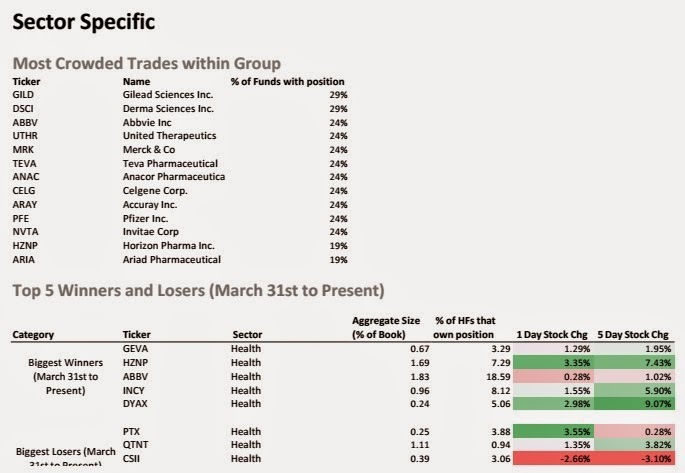 Pfizer is another drug company that has long been very popular with hedge funds, which own more than $6 billion of the stock, as is Gilead Sciences, where 141 hedge funds owned nearly $5 billion of the stock at the end March, according to Novus. What healthcare stocks were hedge funds buying in the first quarter? Davita Healthcare Partners is one example. They have also been playing the mergers that have dominated the industry, buying shares of Salix Pharmaceuticals, Hospira and Pharmacyclics. It's that time of the year folks, when everyone gets hot and bothered over what overpaid and over-glorified hedge fund gurus bought and sold last quarter. Now, here's my take on all this. Unless you're a professional stock trader or investor, please ignore these articles and information from sites like market folly, Insider Monkey, Holdings Channel, and Whale Wisdom. All this information overload will just confuse the hell out of you. Holding a top long position of hedge funds doesn't mean you will make money. Conversely, holding a top short position of a hedge fund doesn't mean you will lose money. In fact, Goldman Sachs told hedge fund clients this week to buy stocks that are unloved by their peers if they want any chance of beating them. 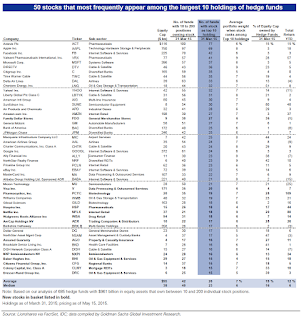 So why bother looking at the portfolios of top funds? And who exactly are top funds right now? I'll answer these questions with the help of my friends at Symmetric, Sam Abbas and David Moon. In my opinion, Sam and David have created one of the best services to track hedge fund holdings and more importantly to dynamically rank hedge funds based on their holdings and their alpha generation. Sam took some time earlier this week to walk me through their product which only costs $200 a month (no lockup! LOL!) and where you can literally go over the portfolios of top funds in great detail to see if they're adding real alpha. Honestly, it's amazing, I highly recommend you contact them here and try it out, it's simply amazing. And by the way, I'm not affiliated with Symmetric, nor have they provided me with any money to plug them. They were nice enough to provide me with a free tryout and I'm using my knowledge of hedge funds and benchmarks to help them think about how they can improve their product. 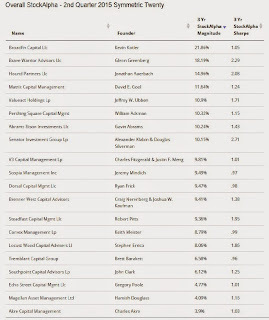 The Symmetric Twenty comprise the top twenty ranked long-short equity managers. We force-rank the entire Symmetric universe according to their realized StockAlpha year to date, 12 months back and three years back. 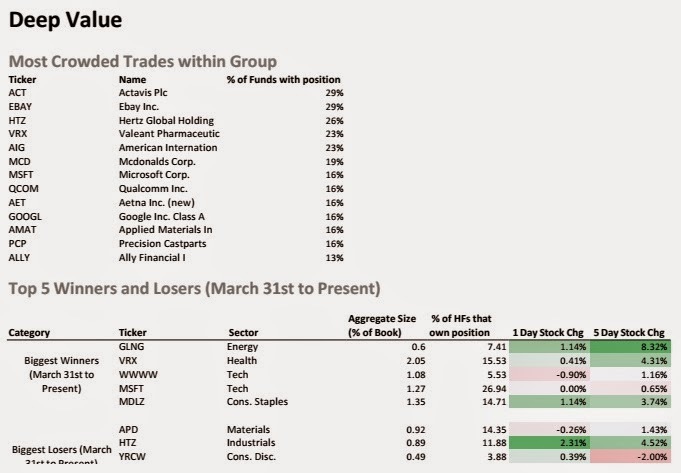 The list is further adjusted to reflect those whose StockAlpha has not only the greatest magnitude, but also the greatest consistency over each period. 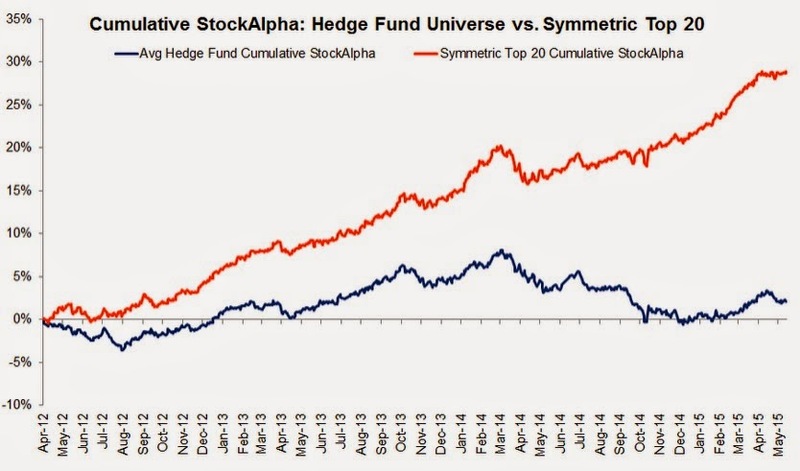 The following chart shows the cumulative StockAlpha for the Symmetric Top 20 vs. cumulative StockAlpha for the entire hedge fund universe. The chart demonstrates the magnitude of dispersion between the best and most consistent stock pickers and the average stock pickers. 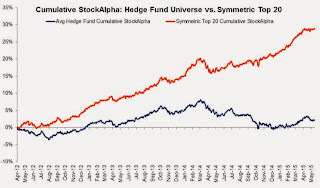 The Symmetric Top 20 have added over 25% of StockAlpha above the average hedge fund over the past 3 years or roughly 8% a year. With hedge fund fees typically being around 2% of assets and managed and 20% of profits, its clear that only the very top stock pickers are worth paying for. The average hedge fund would return negative StockAlpha after fees (click on image). 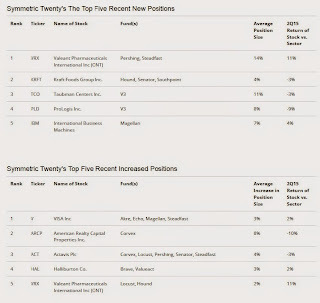 And they provide the Symmetric Twenty's top five new positions as well as the top five increased positions in Q1 2015 (click on image). 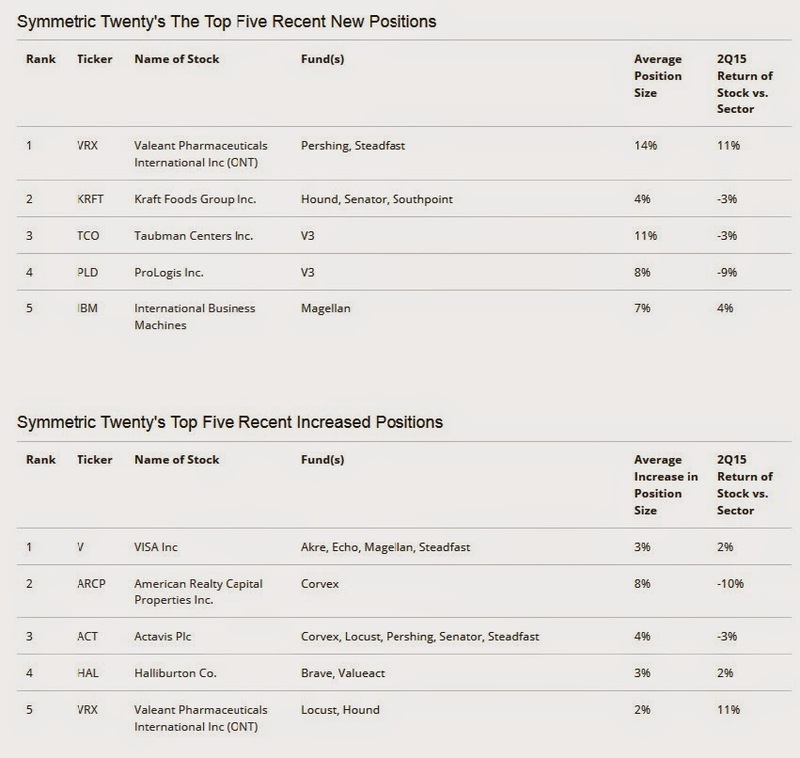 Not surprisingly, Broadfin run by Kevin Kotler is at the top of Symmetric top 20 list. I track this fund's portfolio very closely as it's in the red hot biotech space which I like so much. 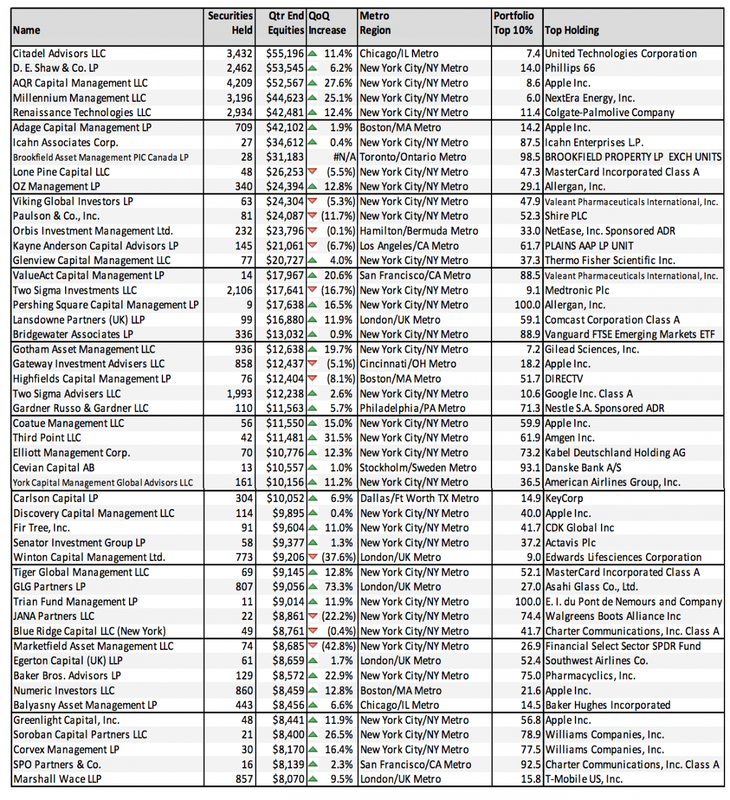 There are many other funds I like in this space, including Baker Brothers, Perceptive Advisors, Palo Alto Investors and many more (see my list below). Most allocators approach hedge fund replication using 13-Fs by pointing out the 45 day delay with filings releases and the lack of information about the short side/international part of the book. The standard argument is that this makes replication a bad idea. We don't think this is the right way to think about it. A better approach is to ask: do the benefits of being invested directly in the fund (short exposure + inter quarter trading + international exposure) make up for the 2/20 in fees and long lockup periods? 2/20 is such an enormous performance drag that in some cases you may be better off than the net return of the fund just by replicating the publicly disclosed book. At the very least allocators should be benchmarking their funds net returns to a synthetic replicated version to understand what value they are getting above and beyond what is available cheaply. I thank Sam Abbas for all his wonderful insights. Once again, please contact them here for more information on this wonderful service they provide. You will be blown away! 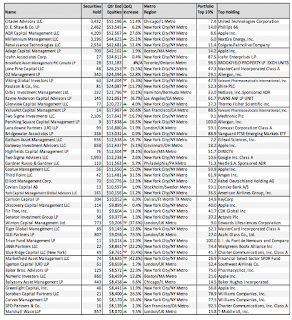 Below, you can click on links to view the top funds of many hedge funds and other funds I track. This is a dynamic list that keeps getting bigger and bigger. Typically what happens is I look at stocks that are doing well and look at who the largest holders are to gain ideas as to which funds to add to my list. That's why the list keeps growing. I also added many Canadian funds for those of you looking to see what the big Canadian funds are buying and selling up here. Finally, I'm a stock market junkie and track thousands of companies in over 100 sectors and industries. I've built that list over many years and keep adding to it. I regularly look at the YTD performance of stocks, the 12-month leaders, the 52-week highs and 52-week lows. I also like to track the most shorted stocks and highest yielding stocks in various exchanges. Gaining an edge on stock picking is a full time job. Please remember that these schizoid markets move on a dime and are heavily influenced by macro factors. Even the very best stock pickers get their hands handed to them from time to time and if they tell you otherwise, they're blatant liars. 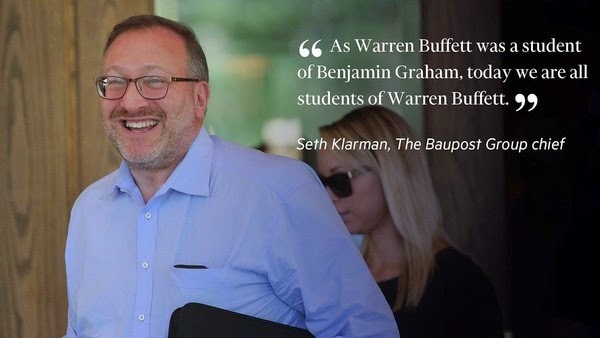 Having said this, there is a reason why people like peering into Warren Buffett's portfolio or that of Seth Klarman (shown in pic at the top) or his protege, David Abrams, the one-man wealth machine. These managers are incredible stock pickers with a long and enviable track record. They don't hug benchmarks, they take very concentrated bets in a few stocks they really like and hold them for a long time, which is why they've delivered incredible outperformance over a very long period. But even they aren't gods and they can't predict the future. These are very tough markets to make money in and I highly recommend you read my comment on slugging through a rough stock market as well as my more recent comments on hedge funds preparing for war and whether you should prepare for global reflation. I'm still long a few biotechs which I like to trade around but these markets are making me increasingly nervous because there are a lot of hidden risks on the macro front and some not so hidden that worry me. I can share a lot more information on specific stocks and macro risks with institutional investors that subscribe to this blog via the third option ($5,000 a year). Once again, I ask you all to please take the time to donate and show your appreciation for my work. You can do so via PayPal at the top right-hand side of this blog. On that note, have fun peering into the portfolios of top funds below. I cover a lot of funds, not just hedge funds. George Soros, Stanley Druckenmiller, Julian Robertson and now Steve Cohen have converted their hedge funds into family offices to manage their own money and basically only answer to themselves (that is my definition of true investment success). Below, dissecting the latest 13-F filings with the Fast Money traders. Also, inside hedge fund manager Seth Klarman's investments, with CNBC's Brian Sullivan and Kate Kelly. You can view a list of Klarman's top holdings from the link above or just click here. I wish all of my American readers a nice long weekend. In the meantime, feel free to contact me directly (LKolivakis@gmail.com) if you need anything specific and please remember to donate and/ or subscribe to my blog at the top right-hand side. Thank you!